I get emails every day with new technology I would love to share with my readers. But my time is limited. So I decided to ask some of the PR resources that have shared interesting press updates with me for years (and happen to be parents themselves), to share some of their clients’ interesting new products by writing a guest post. This post will hopefully illuminate some of the “good” hardware and games that are featured for families in 2013, and they collectively are ones I especially feel strongly towards… and not just because they are clients of an 18-year media relations career (full disclosure). unu (www.facebook.com/unutablet) – this new device, coming out in November, transforms one’s television into a “smart TV” and game console… it also features the evolution of the tablet, which is used to control your online options, a docking station and a game controller for the more than 500,000 entertainment choices presented by Google Play Store. OUYA (www.ouya.tv) – a brand new video game console, OUYA has more than 450 games with more being added every day. All are free to try, and the OUYA is a fraction of the cost of the next generation systems coming out for Microsoft and Sony this holiday season. SteriShoe (www.sterishoe.com) – I count this as hardware since you insert the pair of “electric shoe horns” into your shoes for the UV rays to burn out the germs that have collected. Believe it not, there are more germs on our shoes than our hands and feet. I tried it and my worn out sandals felt so much better inside, they also work well for moms who feel like their cars and homes are being held “hostage” by their children’s gym shoes. They fit easily into suitcases, so they’re also good for business travelers. 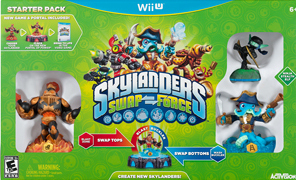 Skylanders: SWAP Force (www.skylanders.com) – starting off the games list with one of the most anticipated titles of the year – Skylanders SWAP Force, which enables players to “swap” the tops and bottoms of action figures to “bring these characters to life” in the accompanying video game. Skylanders is currently the No. 1 action figure line and video game, and is the original toy that first combined video games with action figures. JoyTunes (iPad) (www.joytunes.com) – With their two products Piano Mania and the new Piano Dustbuster 2, beginners can learn to play everything from Beethoven to One Direction without ever having touched a piano or keyboard before. Based upon the Guitar Hero-style of having notes cascade across the screen, you learn to play as you follow along with your iPad. WiShi (www.wishi.me) – A safe social style network where you take photos of your clothes to create “virtual closets” that you can share with friends and family. They can mix and match your style, and create new combinations that make old clothes seem new. ESRB (www.esrb.org) – The non-profit group that determines the video game ratings has a great free app to help parents find the “right game for the right child”. The app also covers mobile games, as well as the consoles, and features unbiased information on each one. Fingerprint (www.fingerprintplay.com) games for the iPad – these educational games address the Common Core Elements that students will be tested on starting in 2014-15. Cosmic Reactor, for example, is a fun math game while Lost in the Universe is a digital story book. Fingerprint has almost 40 educational games for children 3-12, with new multiplayer games from TigerFace that enable parents and children to play together. PBS’ Sid the Science Kid is another popular title. There’s nothing more important than sharing time together with your children, and today’s hardware and “video games” cater to that. 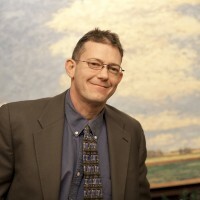 Rob Wheat is a consultant for PMK*BNC, Frank PR and Zebra Partners among other companies after having worked as an employee and consultant for Nintendo and Golin-Harris for more than 15 years. Also a freelance sports and feature writer, he lives in Overland Park, KS with his daughter Violet, wife Jenny and dog Lily. Disclosure: This is a press update.